Color Me Christmas Crayon & Note Card Holder – Stampin’ Up! 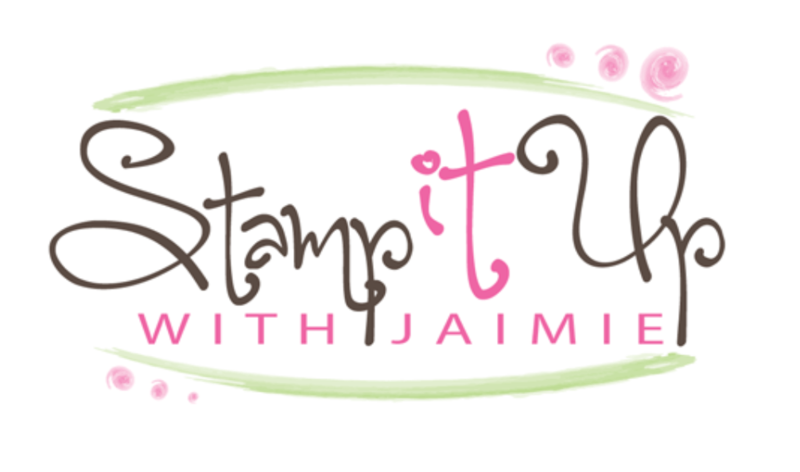 Sandi MacIver and I both used the Color Me Christmas stamp set from Stampin’ Up! to create a project to share with you today. I made a little holder for a small box of crayons and 4 thank you note cards. I thought that these would make great stocking stuffers or little gifts for kids. I used the Envelope Punch Board to create the holder, then I stamped 4 note cards and envelopes and tucked those inside with a pack of crayons so that kids can color and complete their own thank you cards. I used the Envelope Punch Board and Season of Style DSP to create the holder and I put together a quick photo tutorial for you showing you exactly how I made them. You can see the tutorial on my Tutorials Page by clicking here. Once I completed the base holder, I decorated them a bit and the items that I used to do that are outlined below. For the Santa holder, I wrapped a strip of Cherry Cobbler 1″ Stitched Edge Grosgrain Ribbon around the center and adhered it with SNAIL, then wrapped a strand of Cherry Cobbler Baker’s Twine around the center and adhered it with tape. I stamped the Santa image from the Color Me Christmas stamp set (wood mount and clear mount) on a Whisper White panel and I colored it with my Stampin’ Write Markers. I cut it out with the Circles Collection Framelits (on sale through Dec 2 for 25% off) and added a little Dazzling Details to the white parts on Santa’s hat and jacket. I layered the image over a Cherry Cobbler Circles Collection die cut that I’d embossed with the Perfect Polka Dot Embossing Folder and I adhered the image over the ribbon with Stampin’ Dimensionals. I added a bow tied from the Baker’s Twine with a rolled up Glue Dot to the left side to complete it. For the tree holder, I wrapped a strand of Whisper White 3/8″ Taffeta Ribbon around the box and adhered it with SNAIL. I stamped the tree image in StazOn Jet Black Ink on a Whisper White panel and colored it with my Stampin’ Write Markers. I cut it out with an Ovals Collection Framelits die and layered it over an Old Olive Ovals Collection die cut that I’d embossed with the Perfect Polka Dots Embossing Folder. I adhered the image over the ribbon with Stampin’ Dimensionals and added Buttons from the Regals Designer Buttons, Brights Designer Buttons, Neutrals Designer Buttons and Naturals Designer Buttons packs using Glue Dots to adhere them. I finished the tree image by adding a few Rhinestone Basic Jewels. For the reindeer holder, I stamped the image in StazOn Jet Black ink on Whisper White panel and colored it with my Stampin’ Write Markers. I cut it out with the Ovals Collection Framelits die and layered it over an oval that I’d cut from Baked Brown Sugar card stock and embossed with the Stylish Stripes Embossing Folder. I adhered the image over a strip of Cherry Cobbler 1″ Stitched Edge Grosgrain Ribbon with Stampin’ Dimensionals and added one of the Old Olive Simply Styled Embellishments (on sale through Dec 2 for 30% off). I also colored a Rhinestone Basic Jewel with a red Sharpie marker and adhered it to the reindeer’s nose. This is photo of all of the items inside each holder, four 3-1/2″ x 5″ note cards, four note card envelopes and a pack of crayons. 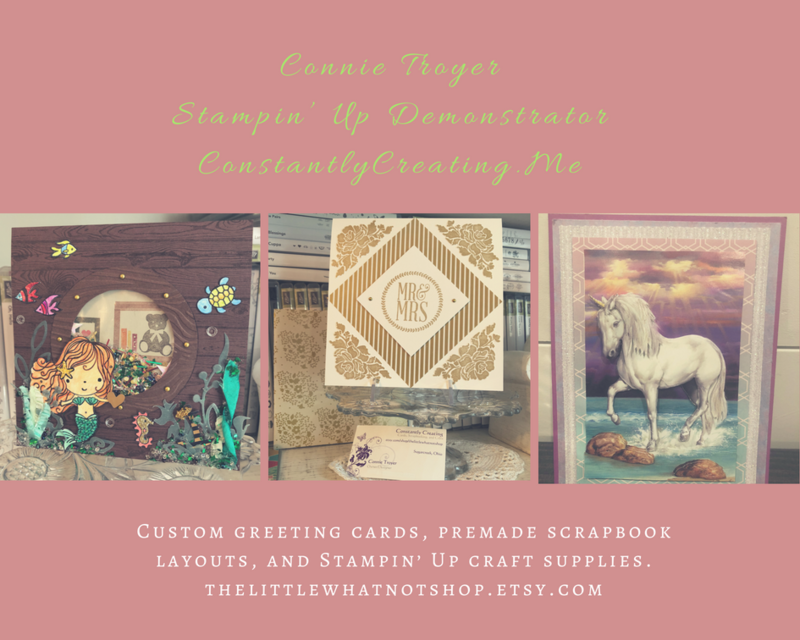 I made the note cards and envelopes but if you’re looking for a quick and inexpensive alternative, Stampin’ Up! sells a great pack of 20 Whisper White Note Cards & Envelopes for for only $5.95! They’re a little thicker than the standard Whisper White card stock that Stampin’ Up! sells so they’re great cards for a great price. To create the note cards, I stamped the images from the Color Me Christmas stamp set in Stazon Jet Black ink, then I stamped the thank you sentiment from the Another Thank You Photopolymer stamp set in Cherry Cobbler, Baked Brown Sugar and Old Olive inks on the front. I left the inside blank and the images uncolored so that the kids could finish them up. I also stamped the stocking image in StazOn Jet Black on the envelope flaps so those could be colored too! Now that you’ve checked out my project, head over to Sandi’s blog by clicking here to see her cute card! The complete list of supplies, including card stock cuts, to create the crayon and notecard holders is at the very bottom of this post. This entry was posted in Child/Kid, Gift Box, Holiday/Christmas, Ordering Special, Quick, Treat Holder and tagged Amy Koenders, Another Thank You, Atlanta, Atlanta GA, christmas, Color Me Christmas, Demonstrator, Duluth GA, Georgia, Johns Creek, stamp with amy k, Stampin Up. Bookmark the permalink. ← Silver Foil Sheet Anniversary Card – Stampin’ Up! Very cute idea. I really like them. Thanks so much, they were really quick and easy too! Thanks for sharing your talent with us, I can’t wait to get started! You are very welcome. Have fun making them!! Amy, I’m new to all of this. You have the greatest ideas. Thank you so much for this one. I’m going to try and use it for my granddaughter’s birthday. You are welcome, have fun making them! And let me know if you have any questions. Thanks for stopping by to leave me a comment! Very creative, Amy! It was so good to meet you last night. I noticed your rewards program (it had caught my eye before because of the name). Are you a runner? Ooooh, gym, yuck! I’m going outside again today. I love run/sightseeing! The next stamping event then… we’ll run together. Although I fear I may not keep up with you. You look pretty fit! Ha! I’ve always been slow…no that you can’t keep up with me. That sounds fantastic, looking forward to it! !